Decent value, easy to use, ideal for the elderly. Maybe a bit small for larger families and hosueholds. 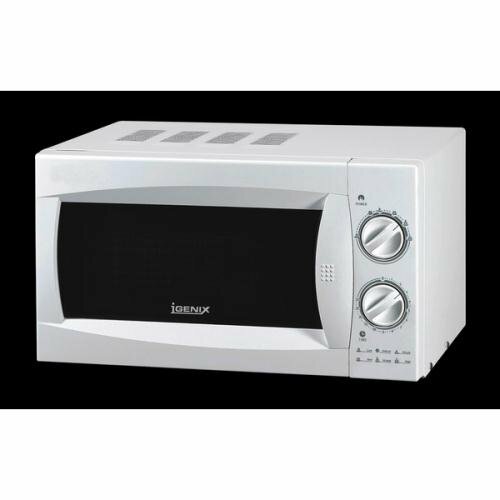 The Igenix IG298020L is a basic and inexpensive solo microwave which is aimed at those who require a cheap and easy to use microwave. The controls are dial based - select the mode you wish to use on the upper dial, and then the time on the lower dial - with no complicated buttons or menus to cycle through. This model is ideal for the elderly, and for those who may suffer from poor or restricted eyesight - it is pretty inexpensive, but it's main selling point is the ease of operation. 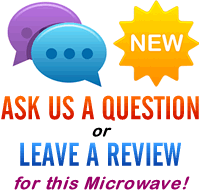 The Igenix microwave doesn't feature a grill or convection oven, and in terms of features it is fairly simplistic. In terms of size it may be too small to cater for a large household - however for a small kitchen or workplace it should be fine. The timer goes up to a maximum of 30 minutes, and with 5 different power levels you should find a setting for most dishes. The cavity is easy to clean, and for the price we couldn't fault this white microwave. Overall the Igenix IG298020L provides a lot of microwave for your money, is easy to use, and is pretty well made. If you're looking for a simple to operate microwave, then the IG298020L may well be the model for you.